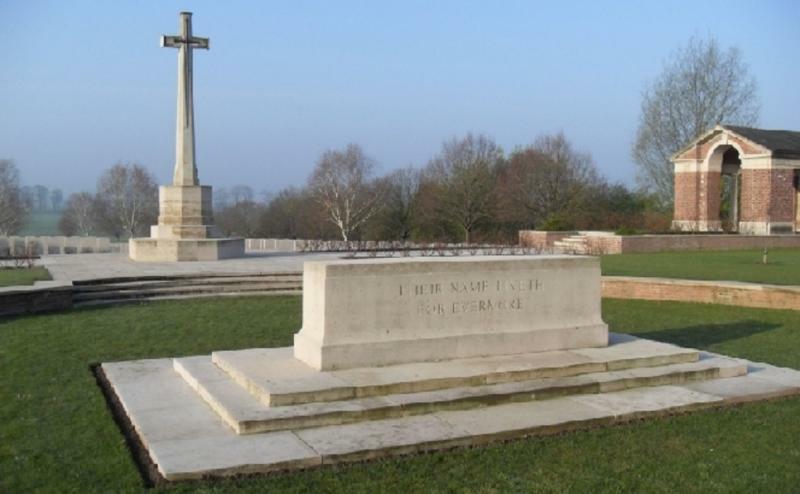 Hooge Crater Cemetery was begun in October 1917, when Hoge fell into allied hands at the start of the Third Battle of Ypres. 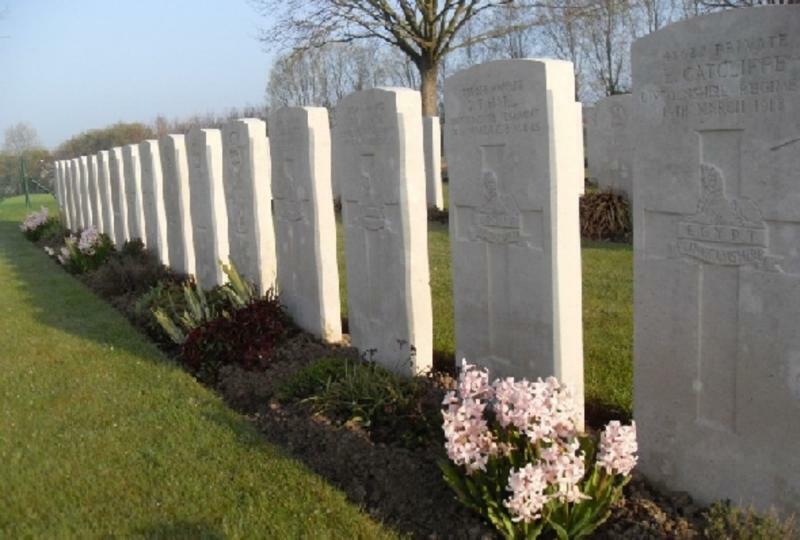 After armistice, the cemetery was enlarged by some 5 800 graves from the neighbouring battlefields and cemeteries. Note the Stone of Remembrance in the front of the burial site. It’s been placed in a hollow in the ground, a symbol for the many craters that were blown in this area.